Want to build on our platform? Go take a look at the developer page and learn about the development playground. Learn how Deloitte has build their workflow in Silverfin. See all our features listed and get an overview of our product. View and compare several use cases in your area. 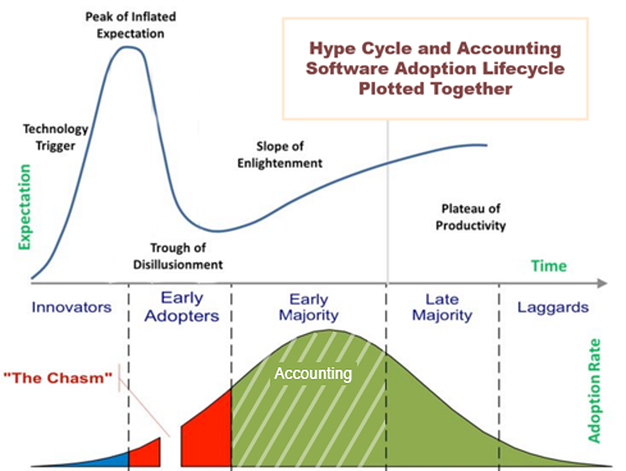 It’s a cycle we see replicated in accounting technology, too: the initial explosion of progress as accounting began its digital transformation, followed by bewilderment as clients and accountants adjusted to the new status quo. There was a time where software got a bit much. Your relationship with your client was riddled with gaps: payroll was here, profit and loss over there - it wasn’t a cohesive picture. Not for you and certainly not for your client. In 2017, there will be no need to do robotic work like data capture because, well, there are bots that can do it for you. There has been tremendous advances in Optical Character Recognition (OCR) technology. OCR turns images into editable, shareable text. You can snap a picture of handwritten notes and have a digital document produced in minutes, read to share with co-workers and clients. And the beauty of this is, it’s all searchable. The key to building an advisory led relationship with a client is integrating your offering into their business’s daily life. You can take proactive steps to building this kind of relationship by leaving the dreary world of email behind. The commercial world is replete with clever email killers like Slack and Atlassian’s Hip Chat. Some connected accounting platforms, like Silverfin, also have in-built chat/project management functionality. Until now, most companies have used these apps to replace internal emails. In that vein, they’ve been very effective - but there’s another, bolder step you can take: integrating your clients into the software. Moving away from email to integrated communication will require some onboarding. It is important to counter unrealistic availability expectations, for instance. Explain to clients that while apps are instant, replies aren’t instantaneous. Both parties should keep it this way so productivity isn’t harmed by a constant to-and-fro. Instead, the aim is transparency. In 2017, your clients expect collaboration. They already have it in banking, financial investments and social media. Accounting is just the next step in this collaboration wave. And, perhaps most importantly, it will make you and your service indispensable. If you would like to see all aspects of Connected Accounting in practice, in one digital ecosystem, then get in touch on this link and we’ll organise a good time for an online demo. To build the right strategy for your service transformation, it’s important to understand the current accounting environment, and how the landscape has changed over the past decade. We are delighted to announce our strategic partnership with Vandelanotte Accountants. Providing forward thinking accountants with the latest technology and creating a centralised data hub has always been our goal; this new supportive partnership will help us further reach our potential. November 16 2018 - Silverfin has won Deloitte’s 2018 Technology Fast 50 award for the Fintech sector. The award was given based on the company’s percentage of growth in turnover during the last four years. The announcement was made at the Technology Fast 50 Awards Ceremony on 15 November 2018. Discover the Silverfin platform, request your demo now!